Do you love prams, buggys, strollers and anything else that concerns the first 3 or 4 wheeled transport in your baby’s life? 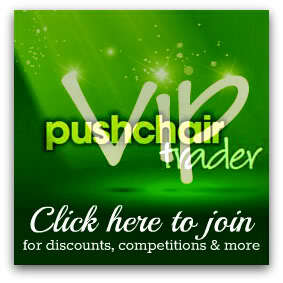 Then you might be very interested to hear about the Pushchair Trader VIP Lounge. Oh yes. Last year, Pushchair Trader recruited several eager and excited mums (yes, I am one of them) as their Secret Agents to test drive their new and exciting website. It was fabulous fun. A couple of months or so after recruitment and all sorts of tests to see if it can withstand the onslaught that surely followed Pushchair Trader opened to the public. If you’re after a pushchair but are not sure which one, if you don’t know if your chosen one is up to your standards or if you’re just nosey and want to check out what’s new on the market, then PT is the place to be. PT regularly test drive and review the newest pushchairs. They also recruit mums all over the UK to test them. Are you looking to sell your unwanted or unused pushchair or even buy a new one on a budget? Once again Pushchair Trader (hint: the clue is in the name 😉 ) are the place to be with their Selling&Buying pages. Do you need a buggy board, a footmuff, a parasol or any other pushchair accessory? Then check out the fabulous PT store! But, and here’s the bait, one of the biggest attractions to Pushchair Trader must surely be their competitions. Last December they ran a 24 Day competition in which you could win a different pushchair every day for the 24 days in the run up to Christmas. Amazing. At the moment they are running a Bump to Toddler Competition worth an amazing £3111! There’s only 6 days left, so make sure you get in there. To follow Pushchair Trader on Facebook, click here.